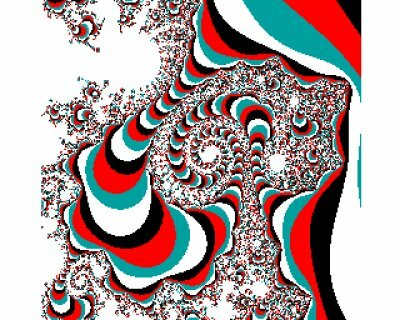 This picture shows a fractal in fully graphic arts mode, with 4 possible color per pixel. In this mode, a pixel directly through its coordinates [x :0-319, y: 0-255] and the color [0-3] addressed. This mode expresses itself by a short imaginary colored line of 8x1 pixels -1 Byte-. Each of these eight pixels in this area can only be the same color. 16 colors can be used. 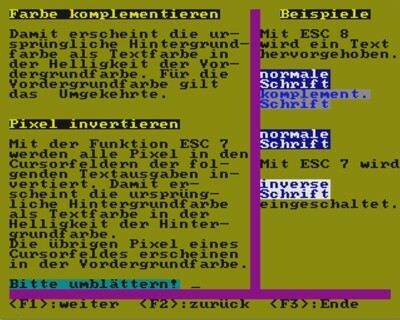 This allows you to create graphical effects or other signs and symbols for the text mode. 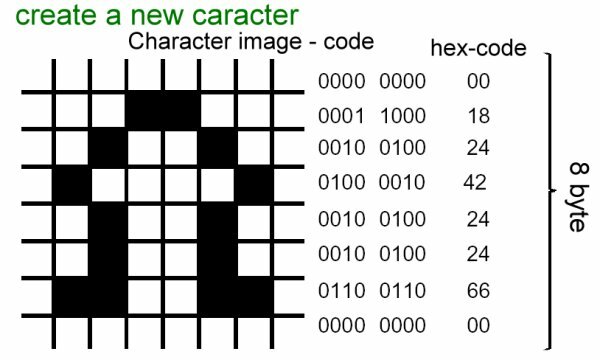 The matrix has 8 x 8 pixel up to 16 colors.